Two graceful swans bow their heads together in an eternal symbol of unity in this heart and scroll motif diamond engagement ring. 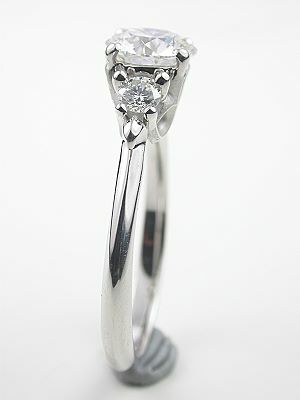 The swans' bowed heads create a heart-shaped design in the center of this engagement ring's underbezel. 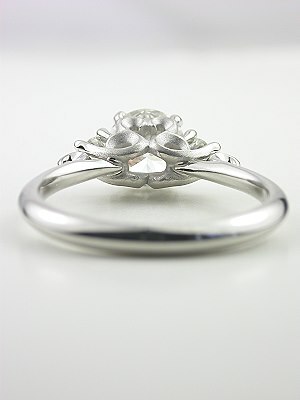 The mounting holds a GIA-certified round brilliant cut diamond. 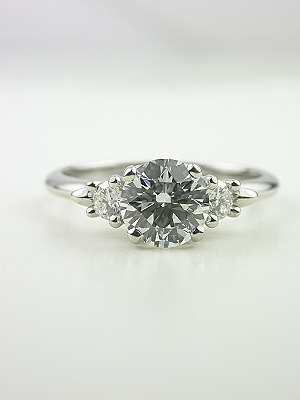 Weighing 1.03 carats, this prong set diamond is G in color and VS2 in clarity. 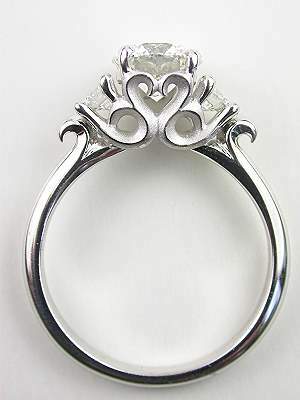 It is flanked by a pair of round full cut diamonds, giving this 18k white gold engagement ring a total diamond weight of 1.25 carats. 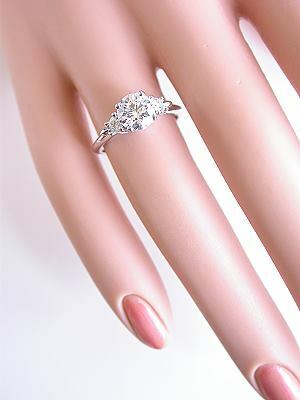 This is a new diamond engagement ring. Special characteristics This diamond engagement ring features a heart and scroll motif in a brushed gold finish on the underbezel. 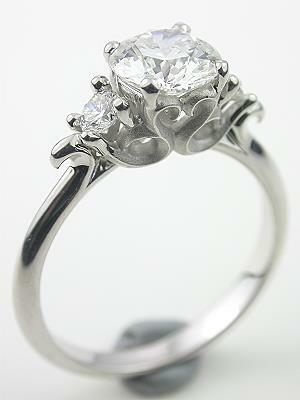 Diamond comments GIA Diamond Grading Report # 15181390 is included with your purchase.